The latest editions to our mouse range and branching out from the Christmas collection. 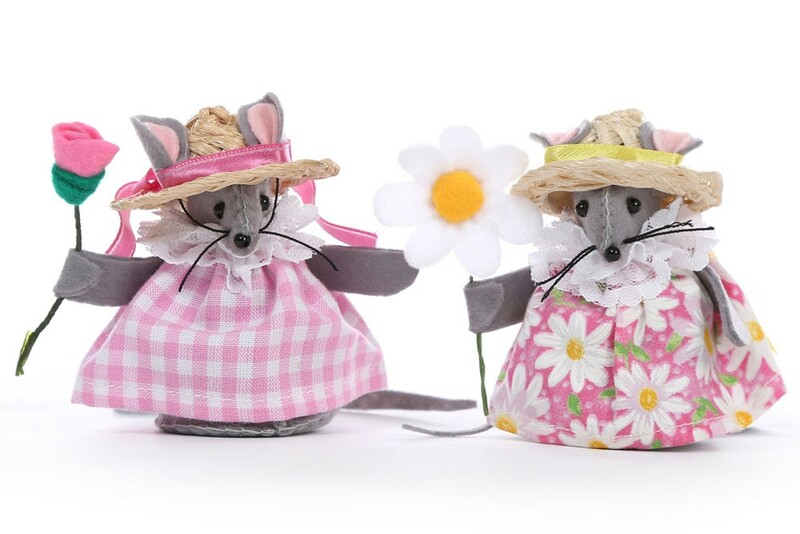 These adorable little Flowergirl Mice stand 8cm tall. One carries a Daisy and one a Rose. Made from grey felt these pretty little Flowergirl Mice are absolutely charming and look lovely sitting either hanging on a twig or sitting on a shelf or windowsill. They come with a hanging loop. With their pretty little dresses and hats, clutching their flowers, they are all ready for a summer picnic!